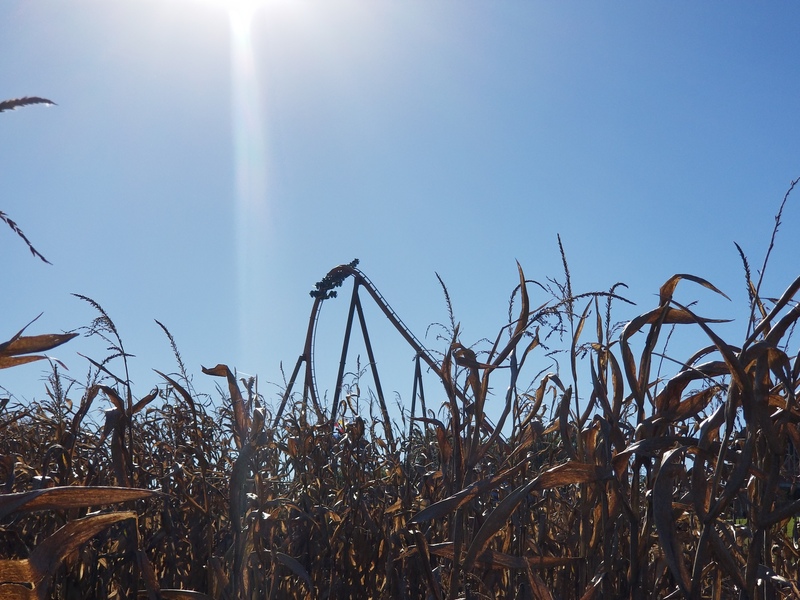 Happy Halloween Weekends at Holiday World! 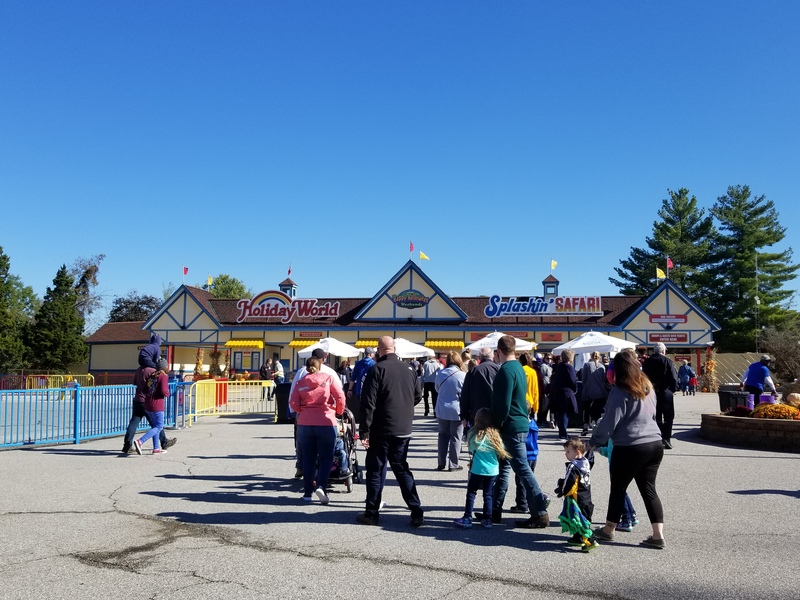 I took a visit to Holiday World on Saturday for Happy Halloween Weekends. I've planned to visit the park during this event for the last few years, but I've never been able to make my schedule work to actually make it happen until this year. The park looked really good in it's fall colors and it should look even better next weekend as the leafs continue to change colors. I just wish my pictures better captured how well the park looked/ I took more pictures to show how well the park looked. If you aren't familiar with Happy Halloween Weekends, it's much different than your typical Halloween event at a theme park. It's very much a family-friendly event. A lot of what they offer is essentially what you would find at a pumpkin patch. 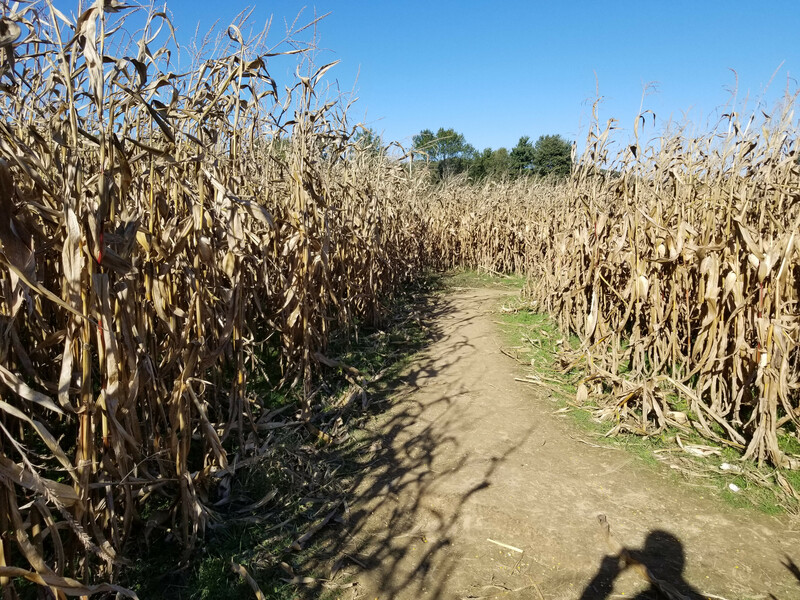 They have one large corn maze and then a smaller one for children. 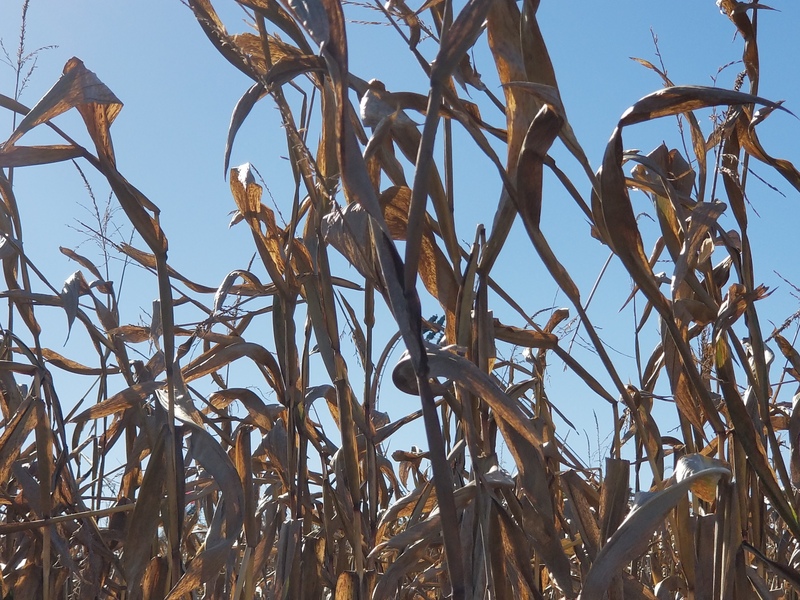 They also offer hayrides and a corn bin for the little ones to play in. 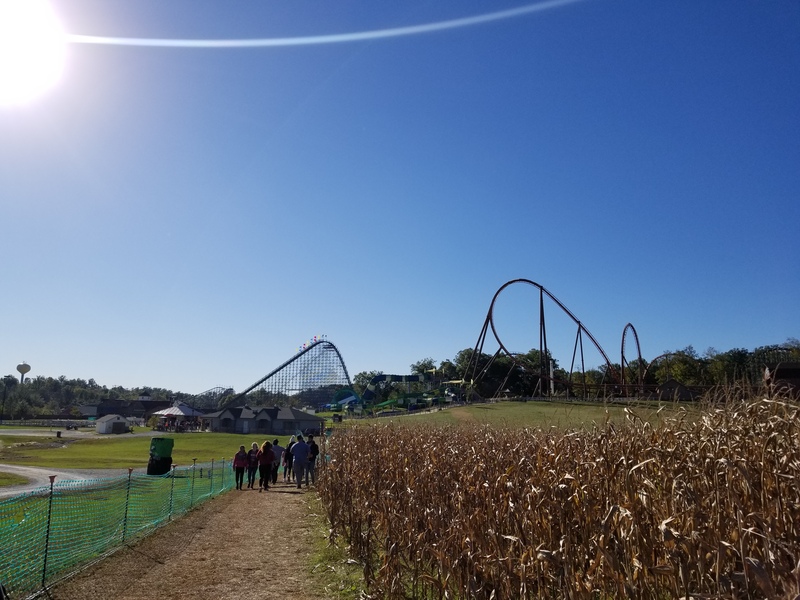 I participated in the corn maze's, but the park was actually decently busy today, so there was a very long line for the hayride. I was actually amazed at how much the Activity Trail (the section of the park this is all located in) took a lot of the capacity out the park. Now they also offer different types of family friendly fun houses and "startle" mazes. I didn't go through them because the ones we actually came across were all pulling stupidly long lines and when all the roller coaster are 1-3 train waits, we chose the coasters. As I mentioned above, the lines for the coasters were actually really short almost all day. The longest lines were 20 mins for Raven at open and 25 mins for Thunderbird when all the Halloween event stuff started closing around 5. In general, the park emptied out right at six, but more on that later. 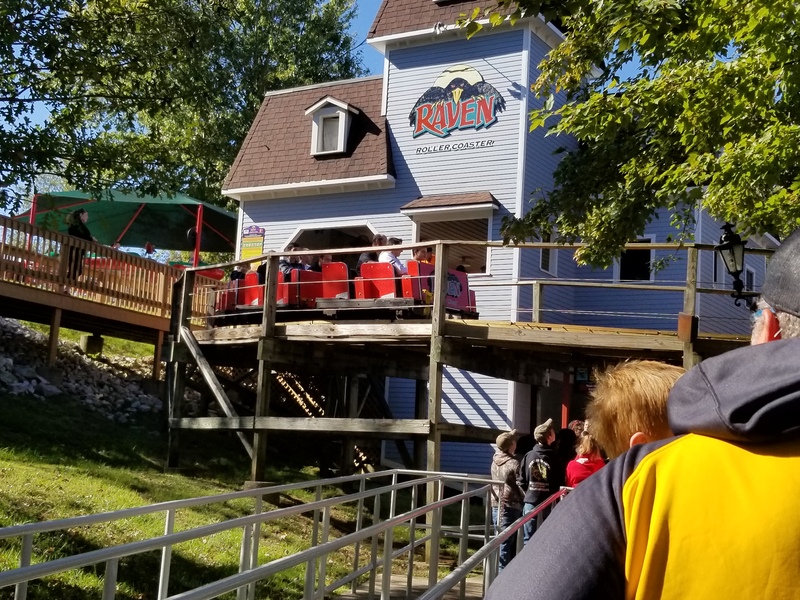 We got 5 rides on Raven and Legend. 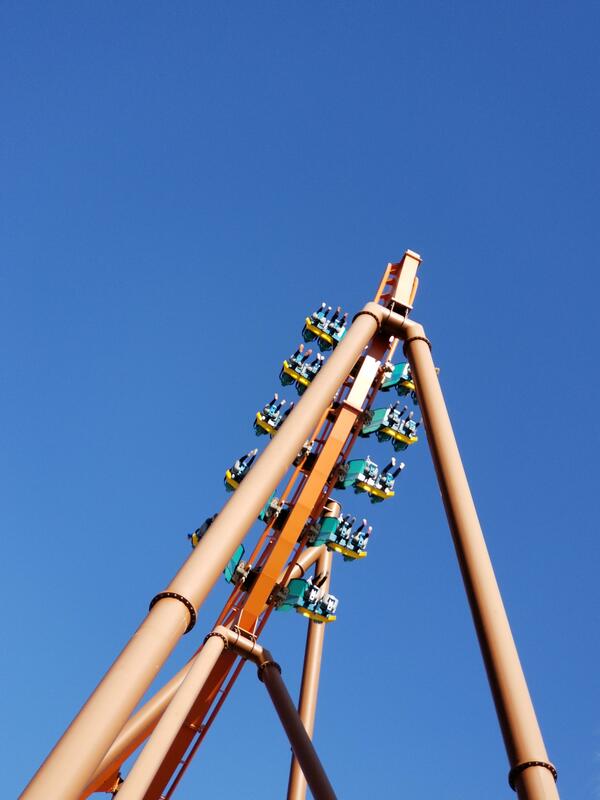 and 6 on Voyage and Thunderbird. All the woodies were running about the same that they did in August. 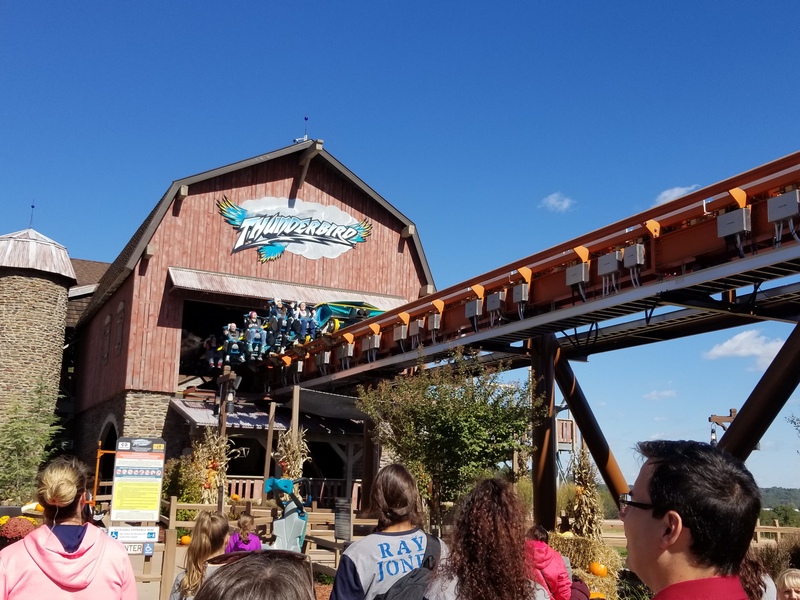 In general, all the coaster were running a bit sluggish due to the cooler temps and high winds. The park emptied out after 6 as the Halloween event stuff closed and it started to get really windy and cold. They were still running two trains on everything and we were hoping to get multiple night rides on all the coasters. Well unfortunately, the wind had a different thought. 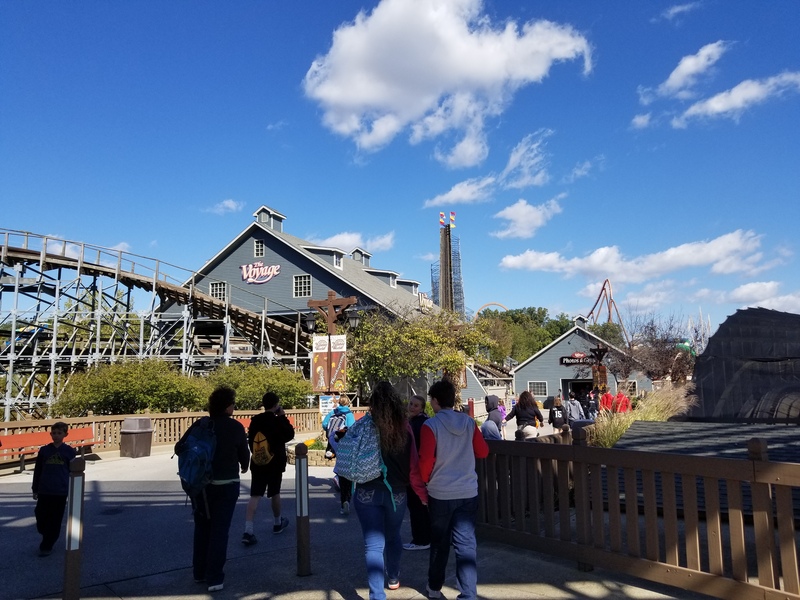 As we were walking to Raven a little after 7, the park was hit with what felt like 50+mph wind gust that temporarily shutdown the coasters. Raven was down, but they were still sending trains on Legend, but as soon as we got in the station, the phone rang and it went down too. The ride op told us that maintenance was inspecting the tracks for broken limbs and they would be back open soon. We decided to camp out at Voyage in hopes of getting at least one night ride on it. Well they were still sending trains when we got down there and had we went straight from Raven to Voyage, we would have gotten on it. However, once we got in the station, the phone rang and Voyage went down. 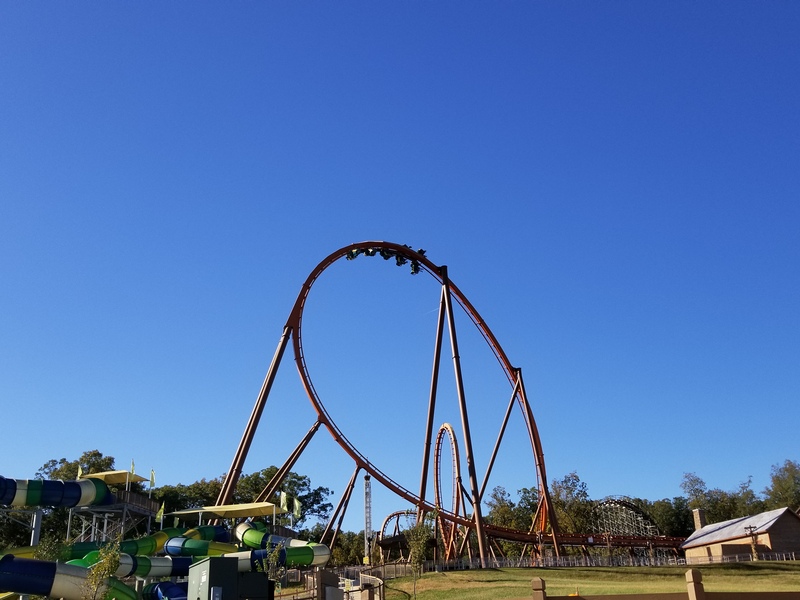 This time the ride op told us the chances any of the coasters re-opening would be slim to none, as the sustained winds were getting too high to run the rides. Shortly after that, the park posted on Twitter that all of their tall attractions AKA the coasters were closed for the rest of evening. While the ending of the day was a bit disappointing, you can't control weather. 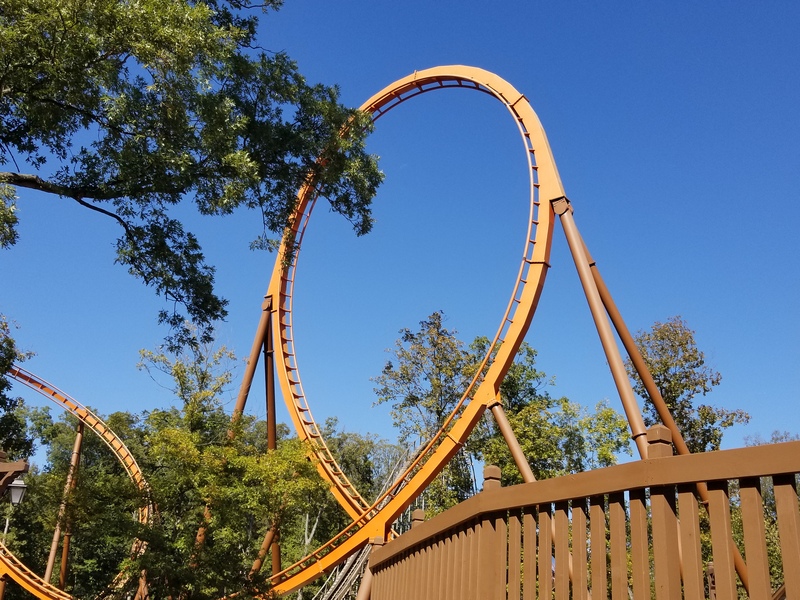 It was still a wonderful visit to the park and a great day overall! 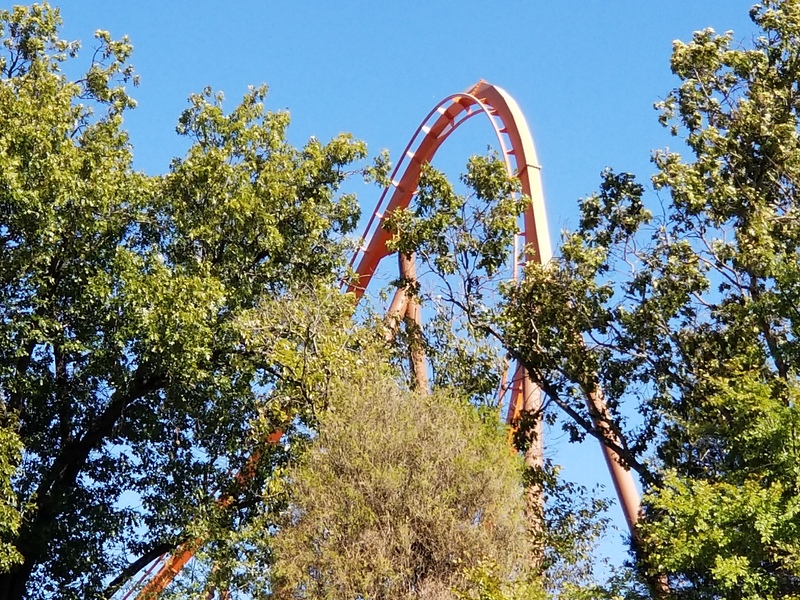 There's a coaster in there some where.. It took us about 15-20 mins to find our way out. Sorry the wind got in the way, but seems like overall a good day nonetheless. Some great photos of Thunderbird from an angle you don't get to see often. Nice trip report. Has me excited to go this weekend for the first time to this event. Unfortunately the weather isn't looking great and your sudden evening closure has me worried. Anyone know what the thresholds are for them to close the coasters? Looking like light rain and 50 degrees around 7pm on Saturday. I thought for sure their Halloween event would be in the evening like every other park. Night rides on those woodies really are hard to come by! AndrewRnR wrote: Nice trip report. Has me excited to go this weekend for the first time to this event. Unfortunately the weather isn't looking great and your sudden evening closure has me worried. Anyone know what the thresholds are for them to close the coasters? Looking like light rain and 50 degrees around 7pm on Saturday. They were still running the coasters at 7 p.m when it dropped below 50. The wind gusts is what shut them down and it was absolutely ridiculous Saturday night, so the park was justified in shutting the rides down. Canobie Coaster wrote: I thought for sure their Halloween event would be in the evening like every other park. Night rides on those woodies really are hard to come by! Yeah its very much a family friendly event, which seems to really work for them. The only Halloween related thing after 6 was their Halloween themed music show. You can get night rides from 7-8 p.m. on Saturday's. I imagine they have a hard time staffing this event. 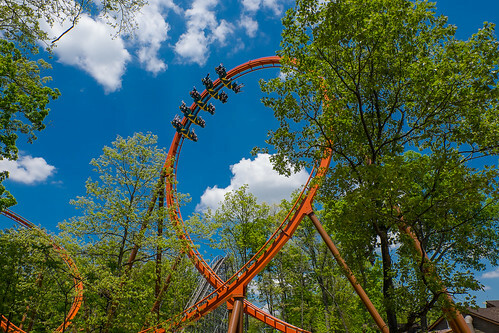 It was the same ride-ops on every coaster all day on Saturday.